Selection criteria: Any anime which ended in 2016 is eligible. This includes OVAs and ONAs. Movies will not be included due to the difficulty of watching them abroad, otherwise you can assume Your Name and A Silent Voice probably would have won far more awards. 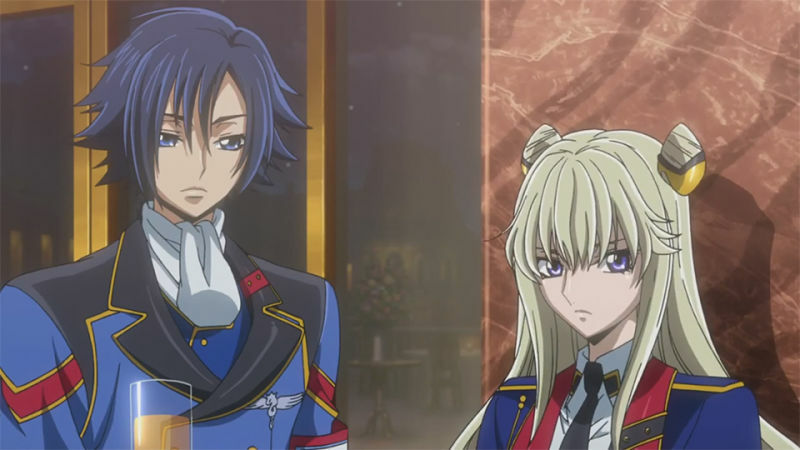 I will forever be a hopeless Geass fanboy so take anything regarding Geass from me with a grain of salt, but boy did I love the action in Akito the Exiled. I have to nominate it for what it did to me for my acceptance of CG robots. 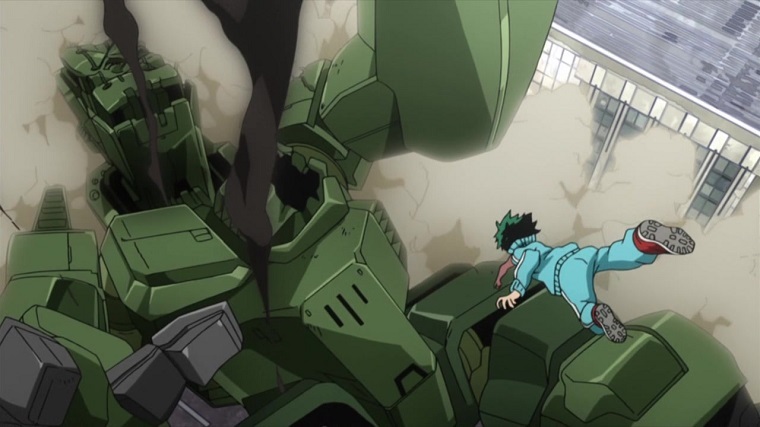 The spider ninja bots of Akito are the best mecha action I’ve seen in years and have turned me into a believer. Bring on our CG mecha overlords! 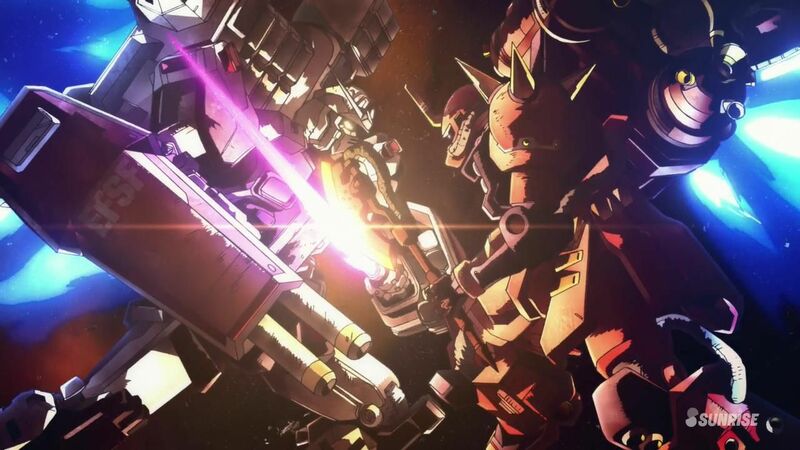 For pure action, few anime have been as satisfying as the latest Gundam OVA. The elaborate mech battles just keep coming in its 70-minute runtime, but there’s enough character to keep it interesting. War is hell, but Hell can be damn thrilling. Note: I’m way behind on my Jojos but if Diamond is Unbreakable is as good as the best of the Jojos parts I’ve watched, I regret not being able to nominate it. Ah, the glory. A great shounen action manga, brought to life in the capable hands of Bones in spectacular HAND-DRAWN animation. As a budding WSJ super-franchise BnHA pretty much has it all - a winning protagonist, a great premise inspired by American superhero comics but with a distinctly Japanese flavor and a stellar supporting cast. And Bones did it justice just as you’d expect they would. Season 2 arrives in 2017, and I can’t wait. Historical and religious themes appeal to my basest desires, as does a cast of characters willing to spill some blood here and there. The comedic interludes are catastrophically dumb and shackle the show to a manga-ish style that doesn’t serve its major themes, but I’m willing to overlook that in light of the fact that a Mitsubishi Zero hard-counters a flight of dragons. HoyvinGlavin64: It looks like My Hero Academia is a favorite in this category. Personally I wasn’t hooked by the first episode. Seemed like every other younger-skewing superhero story I’ve seen, perfectly fine but nothing that struck me as special. Should I give it another chance? Guardian Enzo: @Hoyvin - well obviously, yes! If you have a soft spot for really good shounen. I could easily have gone for MP100 or even Ajin here, but in the end I think BnHA is the true action series in the group. It embodies the youthful, boisterous spirit of great shounen right down to its author. Horikoshi will one day write a brooding, shounen-seinen masterpiece, I suspect, but for now BnHA is the perfect vehicle for his talents. Jankenpopp: I’ve been having a lot of trouble lately sticking with new series, especially action. Shounen doesn’t really appeal to me unless it goes in a radically different direction a la Kill la Kill. Otherwise I just find myself wondering why I’m not watching Dragon Ball again. Scamp: Yeah I’m A-OK with Hero Academia winning. 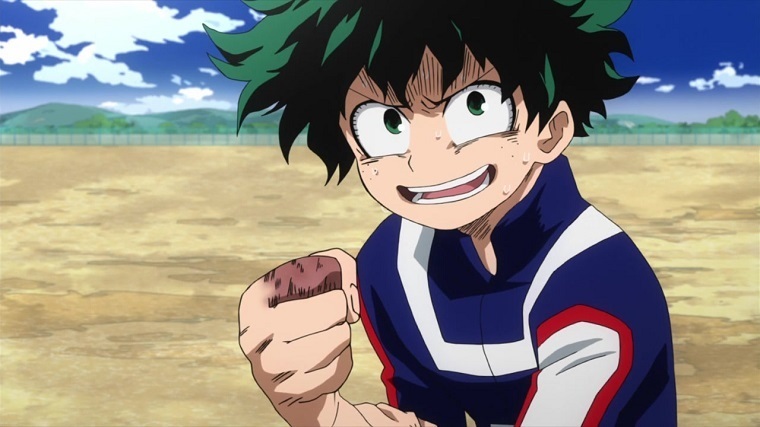 If you put a gun to my head I might say I prefer Thunderbolt’s action, but it’s basically the same and I like the imagination of the hero powers in Hero Academia a lot. The shounen superhero battle manga adaptation takes it, although there were some strong contenders this year in a variety of action flavours. Osomatsu-San was the surprise of the year for me. I in no way ever expected some kids 60s anime to turn into this piece of anarchic, blue comedy piece of genius. It didn’t always work, but it pushed boundaries and produced some of the most memorable gags of the year for me. Please give comedy writers the freedom they got for Osomatsu San because when they do, they can produce some remarkable results. Stop reading my mind, Scamp! I guess it feels a little weird talking about this as a 2016 show when it was so widely celebrated back in fall of 2015, but the show’s second half did provide a variety of hilarious stand-out episodes, including that insane Mad Max parody. It’s easy to understand how this show managed to appeal to so many (less easy to understand: why my best friend thinks Iyami is somehow sexually attractive…). It was a really good year for comedy, as it was for anime generally, and this was a tough category to ponder. I chose Tanaka-kun wa Itsumo Kedaruge because it took what was already a really good manga and made it better in every way through the tools that anime provides (music, cinematography, casting et al). It’s a beautifully drawn and animated show, and the humor is smart, subtle and stylistically diverse. The classical definition of “comedy” is a story that begins in tragedy and ends in happiness, and that’s Sekkou Boys through and through. Its world is objectively loony, and only our hapless art student protagonist seems to notice—a formula that would wear thin and snap in a full-length format (think Sumire 16 sai!! ), but doesn’t outstay its welcome as a short. 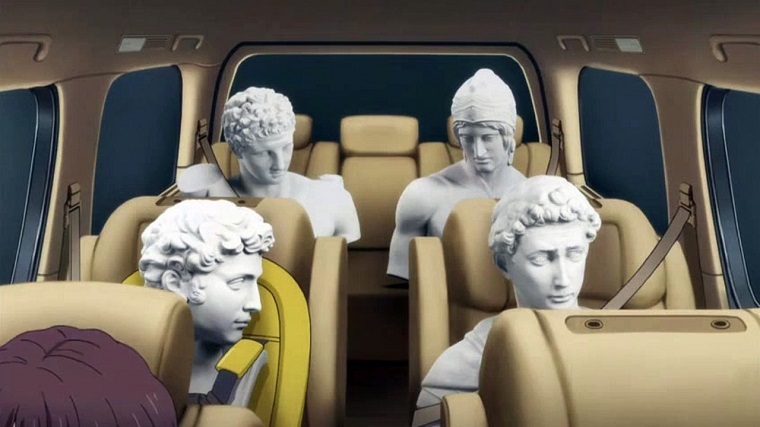 You don’t have to get the historical in-jokes to appreciate how a stone bust somehow always has the appropriate expression for the situation. GuardianEnzo: I’m fine with Osomatsu-san, which is obviously the consensus choice. It’s also a cultural phenomenon almost unique in anime history. There were a couple of 2016 anime comedies I liked just a bit better, but Osomatsu was arguably the anime story of 2016, and very funny to boot. Jankenpopp: I’ve never really been able to get into long-form comedies, with the exception of Sakamoto desu ga? It’s not really a problem with the genre as far as I’m aware; I’m just always doing different things. Maybe when I’m caught up on Shokugeki that’ll change. Scamp: Six same faces! I’m actually in disagreement with Enzo in that I thought 2016 was a terrible year for anime comedy, despite being a generally good year for anime overall. 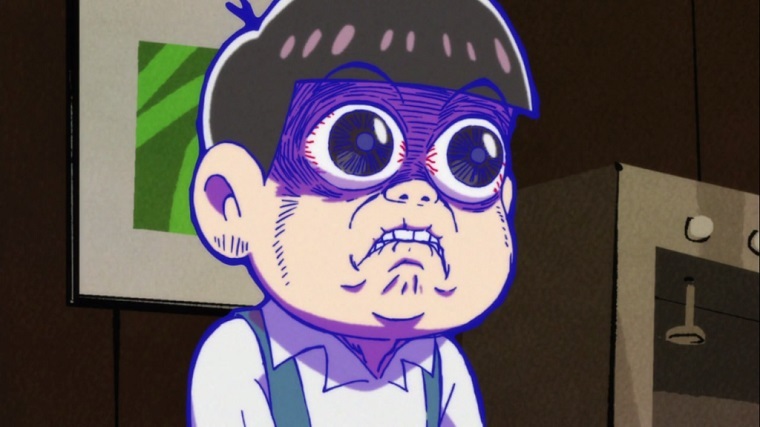 But Osomatsu is amazing. Although shoutout to Sekkou Boys for being kinda cool too. It may have started in 2015, but continued into 2016. 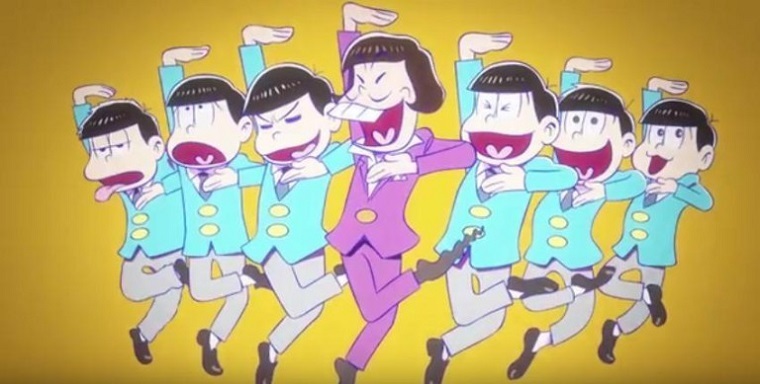 Osomatsu-san was an almighty phenomenon that more western anime fans really need to watch. A story about a man whose immaturity and lack of self-confidence results in his continuous failure to perform. That is until the man of his dreams walks into his life and wags his naked body at him in a hot tub. Truly a romance for the ages. I wonder if we could actually get a complete consensus in this category. There’s really not much in the way of competition. 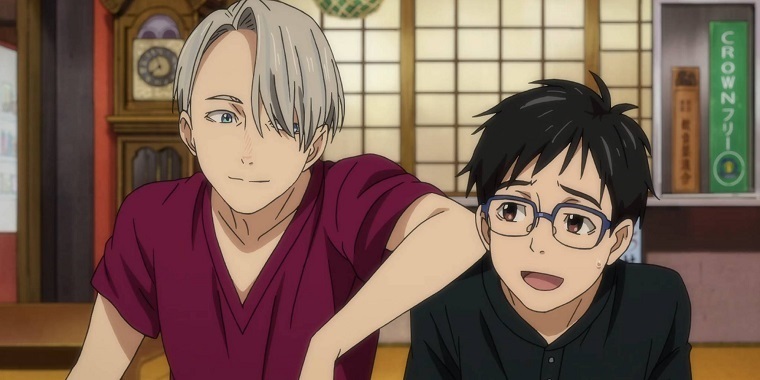 In a world where too many shows opt for fanservice ship teases over actual relationship development (especially when it comes to gay representation), Viktor and Yuri’s romance is a breath of fresh air, and the show’s just excellent all around. Romance wasn’t as strong as some categories in 2016. 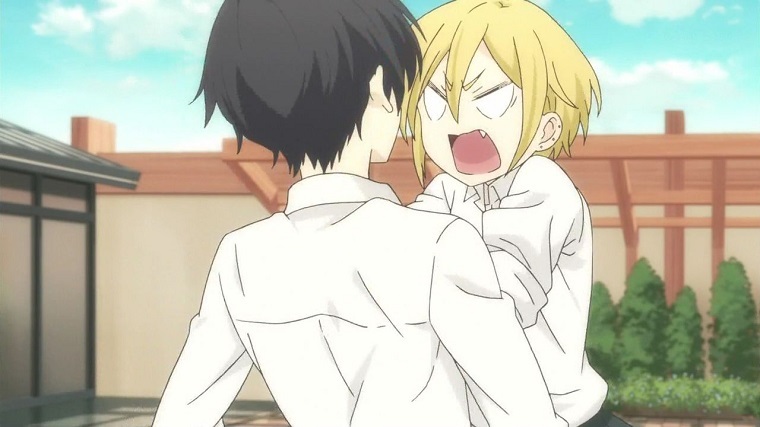 There are a lot of good shows that had romance elements, but (and I guess this is a philosophical debate) I struggle with calling a series a “romance’ when the romance is not the main theme (as is the case with my honorable mention series). 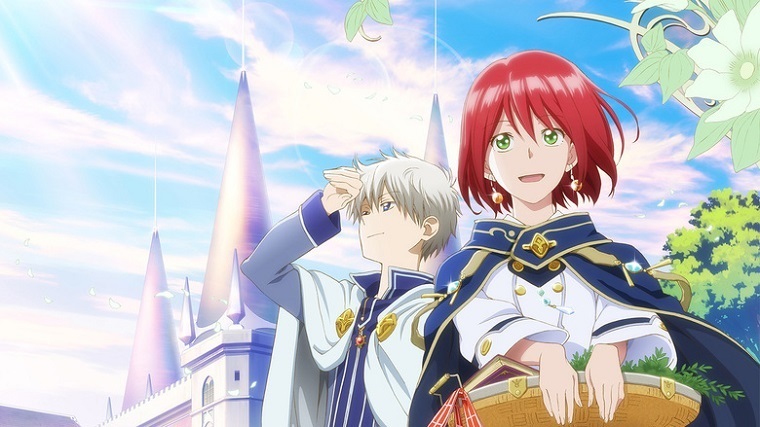 That’s one reason why I chose Akagami no Shirayukihime, which is an excellent show generally but also one where the romance comes first. It’s a believable, low-key courtship between the two extremely likeable leads and it totally works on-screen. It’s a shame the anime ended where it did, because the manga gets even better (though arguably less romance-centric) in later chapters. I’ll make a case for the Studio Trigger Clip Show if nobody else will. Much as I appreciate the Your-Lie-In-April-esque rekindling of passion in Yuri on Ice! !, I’m more intrigued by the meta-narrative at play in Space Patrol Luluco. You don’t have to watch to the end to see Luluco as an allegory for Trigger themselves—essentially, it’s about a plucky collection of artists rolling with the punches of an often arbitrary industry to shake up what it means to be normal. Think of Nova as a living cliche that will kill you if you hug it too hard and you’ll see what I mean. HoyvinGlavin64: I enjoyed Luluco a lot, though I never looked at it that deeply. Trigger would be worthy winners in this category if Sayo Yamamoto hadn’t come in born to make history. GuardianEnzo: I have no love for Luluco or Trigger, who I think are fooling people into thinking juvenility is cleverness. As a fan of Gainax I had high hopes for the studio but they’ve really let me down. 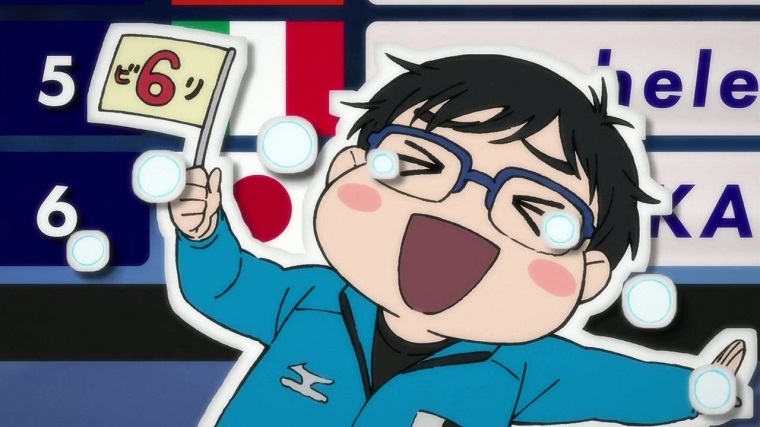 I think YoI is the consensus pick here and while it’s not my first choice as I don’t think romance is the main focus, it’s a damn good show and the romance itself is pretty groundbreaking. 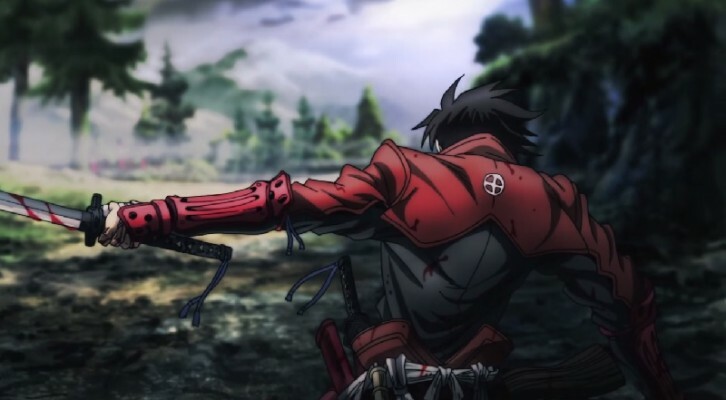 Jankenpopp: Juvenility has a cleverness all its own if it makes sense contextually, which is part of why the comedy in Drifters rings so out of place for me. We all bring different things to the table when we’re asked what we think is underrated or underrepresented in fiction. Scamp: Luluco is legitimately great and I would have been totally OK with awarding it in this category. It’s one of the sweetest, silliest romances that justifies its silliness fantastically. But Yuri on Ice exists. I give Luluco honourary runner-up position though. Although perhaps the romance wasn’t completely central to the story, the relationship in Yuri on Ice was strong enough and well-told enough to steal the hearts of our judges.